Pregnancy & Infant Loss Remembrance Day is Oct 15. We will have our remembrance the very next night, Friday Oct 16. 1 in 4 pregnancies end if miscarriage, so many in our community and family have been affected by loss. At Arise we will be honoring and remembering those precious gifts from God that touched our lives even for the short time they were with us. 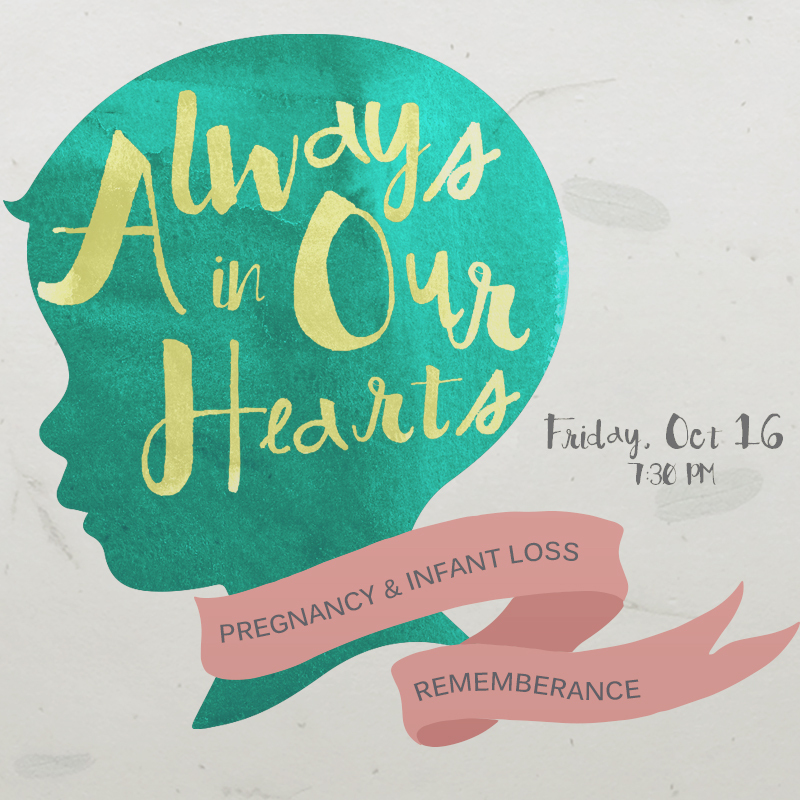 We would like to invite the parents that have suffered a miscarriage, ectopic pregnancy, still birth or loss of an infant to a special remembrance program. Both parents, fathers, mothers and supporters are welcomed. We will have a special speaker (Pr. Joel Almeida), candle lighting and a moment for you to share if you choose to. In memory of the babies lost, we are having a diaper drive for the DC Diaper Bank. All those that attend, are welcome to bring diapers (especially sizes 4 & up), wipes, diaper cream to donate. Childcare will be provided during the program.